3 days to Tax Season for Individual ! Not everyone needs to file an income tax return (ITR12). 1 July marks the beginning of Tax Season 2014. As from this date taxpayers can submit their Income Tax Return (ITR12) to the South African Revenue Service (SARS). Once again the annual income threshold for submitting a tax return is R250 000. Alert: 2 Armed robberies in 1 week in day light in Lenasia. We ask residents to please be vigilant, and to implement Basic security measures to minimise the risks of falling victim to these crimes. PLEASE ensure entrance doors and security gates are kept locked at ALL times, even if u are just going to the pavement. In both incidents, the suspects gained entry through open doors, which were left open by the residents. Comments Off on 3 days to Tax Season for Individual ! The JRA is responsible for the ​construction, operation, control, rehabilitation and maintenance of the roads and stormwater infrastructure in the City of Johannesburg. The main responsibilities include the construction and/or maintenance of bridges/culverts, traffic signals/traffic signal systems, footways, road signage and road markings. Phishing sites and emails often ask for information that a Bank would never ask you for or will never request you to update, such as personal or banking information. Never give your personal details to anyone without verifying their identity.You should view emails and pop-up windows asking for your personal information with the same amount of suspicion you would the person behind you in an ATM queue. Treat emails that appear to be from a Bank asking for personal details with suspicion. Never reply to their email or get into a conversation with them. Never provide your personal details, for example, your PIN or account details, by email. Do not follow any links in emails to reach Internet banking websites. Malicious software could redirect the link to a fake site. Always enter your bank’s website address (i.e. www.standardbank.co.za) in the address bar to connect to your Internet banking site. Do not create shortcuts on your desktop to Internet Banking. Malicious software could redirect the shortcut to a fake site. Be wary about who you invite or accept invitations from when social networking..
Be careful about clicking on links in an email or social networking posts. Make sure children are educated about the risks of going online. Get to know and use parental control settings. Makes an offer that seems too good to be true, such as Lotto, inheritance or SARS payouts. Johannesburg – Four people were killed in an accident on the Golden Highway’s N12 off-ramp, Johannesburg emergency services said. The accident happened on Friday (17/01) afternoon as police were on the road, clearing rocks, spokesperson Synock Matobako said. “The rocks had been thrown onto the freeway by criminals. They stand on top of the bridge, throwing rocks at passing cars. When you stop, they hijack your car,” said Matobako. He said the driver of the Opel Astra hit a rock which was still on the road. The driver of the Yaris, who was travelling alone, was instantly killed. There had been four occupants in the Astra. Matobako warned motorists to be careful of the Golden Highway area as police had claimed that several motorists had been victims of the hijackings using the stone-throwing modus operandi. “It is a very dangerous area. It’s a hotspot. If you stop after getting hit by a rock, you will be hijacked,” he said. April 2013 – Reports of rocks being thrown at vehicles from the N1 bridge over the N12 west at Misgund (that is, Death Bend). Please be very careful in the area. stamp like this: (*2603*) There is an asterisk at the beginning and at the end of this serial number. The first two numbers 2 6 will tell which week of the year has it been manufactured. 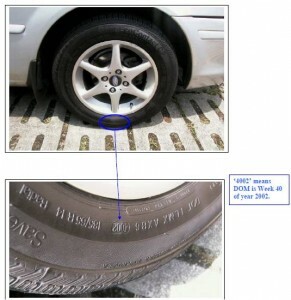 shows that the said tire is manufactured in the 26th week of the year 2003. *2699* this shows that the tire is made in the 26th week of 1999.Check all your tires for safety purposes. Do not use expired tires. They are likely to burst (especially when running in hot weather) because the rubber component may have hardened and cracked. – Increase the life of your tires. Download Full Document on Tyre Safety, Print and Share with others. The Ministry of Finance would like to warn the public about a number of Facebook accounts which purport to be those of the Minister of Finance. These fake accounts are the latest attempt to con the public, both in South African and abroad, of their hard-earned money. Last year, the Ministry warned the public about bogus letters or emails which purported to be from his office and those of other senior public officials. The Ministry condemns the use of the Minister’s name and photographs, and reiterates that such scams can only succeed to the extent that members of the public have an unquenchable thirst for easy wealth. Tags: looking, diy and need assistance to protect your pc, information, upgrade or recover data, Installations, repairs, upgrades, improve performance, recover lost partition, recovery files, file recovery. Don’t overload plug points, particularly where multiple socket extensions are used. The total load on any socket (plug) should not exceed 16 amps (or 3 kW). How many plugs on one socket? Use electrical appliances only for the purpose for which they are intended, eg. don’t hang damp clothing over heaters to dry, don’t use stoves to heat rooms, etc. Don’t touch electrical appliances while in the bath, eg. hairdryers. Ensure that all appliances have a plug on the cord. Don’t stick bare wires into the socket outlet. Don’t interfere with the electrical wiring installation. Protect your installation with an earth leakage unit. If the earth leakage or any circuit breaker trips, don’t bypass it. It has tripped because it has detected an unsafe or dangerous condition. If you cannot reset the earth leakage after it has tripped, unplug all appliances, double adaptors and extension cords (don’t just switch off). Reset the earth leakage. If it still trips, switch off all circuit breakers, reset the earth leakage and switch on the circuit breakers one at a time until the faulty circuit is identified. Call an electrical contractor to rectify the fault. Make sure all plugs are correctly wired, ie. when looking at the top of the opened plug, the green and yellow (earth) wire goes into the top pin (large pin), the brown (live) wire into the right pin (marked “L” or with a brown colour) and the blue (neutral) wire into the left pin (marked “N” or with a blue colour). Below is a list of some useful websites for online services such as checking your water and electricity bill, checking your telephone bill, check your cell phone contract bill and when is your next upgrade due and much more links to other online services. Vodacom – Visit www.vodacom.co.za on the top right corner of the website click on drop down “sign in my account” then click on register and follow the on screen prompts. Once you registered and logged in you will be able to view your statements online, check when you due for an upgrade, how many free minutes you used and how many minutes you have left, send sms’s online and much more. MTN – Visit www.mtn.co.za on the top centre and click on “User login / Register” then click on “Register” and follow the on screen prompts. Cell-C – Visit www.cellc.co.za on the bottom left under useful links click on “My Account” and follow the on screen prompts. 8ta – Visit www.8ta.com on the top right click on “Register” then follow the on screen prompts. Telkom – Visit www.telkom.co.za on the top right click on “My Telkom” Then click on “Register” on the bottom right. You will be able to view your account online, receive statements via email and more. Water and Electricity and More – Visit eservices.joburg.org.za on the top left click on “Register for e-Services” and follow the on screen prompts. Services includes: Account by email, building plan progress, valuation services and more. For other products and services that you have you can enquire with that company if their offer online services and find out from them how to use their online services.